A MAGICAL KINGDOM AT WAR! The quest is clear. 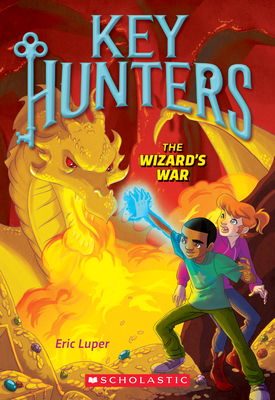 To save the kingdom, Cleo and Evan must battle clever elves, horrible trolls, and the mighty Golden Dragon. Magic will help them win the war--and find the right key. But it will take more than swords and spells to survive this epic fantasy!